Good coaches are hard to come by in the NCAA ranks, and schools are eager to gobble them up. Whether they carry with them a troubled past or inauspicious performances at previous positions, these six coaches are looking towards new locations for new kinds of success. For every Jim Boeheim or Mike Krzyzewski in the coaching ranks, there are just as many stellar coaches who have bounced around to several different jobs in a wide variety of settings. Some spent time with the best of the best before their falls from grace, while others have had to rebuild their reputations piece by piece at locations unknown. However, Division I NCAA programs are more than willing to take fliers on high-profile coaches in the search of immediate on-court success. Never before has the pressure to succeed been so imperative to college basketball. To be sure, Kevin Ollie wins a championship in just his second year at Uconn as a head coach after the likes of Gregg Marshall is able to lead his mid-major Wichita State Shockers to a number one seed in the NCAA Tournament. Schools want to win now, if not yesterday, and these six coaches, based on past successes and reputations, have been pressed into service to do just that. No pressure at all. Heath Schroyer (Tennessee-Martin, 1st Season): Schroyer had head coaching stints at Portland State and Wyoming and most recently was on the UNLV bench with Dave Rice. He got his start in coaching working as an assistant for Steve Cleveland at both Fresno City College and BYU. Schroyer took an assistant job at Wyoming before taking over with PSU, where he stayed for three years. After a short assistant stop at Fresno State, Wyoming offered him his first major head coaching job. However, he was only able to post one winning season in his four years in Laramie, and the Cowboys let him go. Overall, he has posted an 84-115 record. Last spring, Schroyer decided to make the jump from the Runnin’ Rebels bench to Tennessee-Martin. Ernie Kent (Washington State, 1st Season): Kent first broke into coaching in 1991 with Saint Mary’s where he spent 6 mediocre years and earned only one NCAA Tournament berth, in his final year. He parlayed that trip to the Big Dance into a long-term position at Oregon, where he lasted 13 years and appeared in the NCAAs five times. His final two season in Eugene, however, were less than stellar and the Ducks fired him after the 2010 season. His tenure at Oregon was a success as he earned 235 wins to go along with his tournament trips (plus a pair of NIT semifinals visits). Kent now brings his uptempo style to Pullman, where he will attempt to quickly transition (pun intended) from the Tony Bennett grind-it-out style to the fast paced game he was known for in Eugene. However, the closest Kent has been to the basketball floor lately is from his spot at the broadcast table for the Pac-12 Network. It does not hurt that his former AD with the Ducks, Bill Moos, holds the same position at Washington State and was more than willing to offer his old friend a chance with the Cougars. Bruce Pearl (Auburn, 1st Season): Perhaps the most intriguing of any coach on this list, Pearl has essentially risen from the depths of the coaching ranks all the way back to the top. Auburn, which has never honestly been known for its basketball prowess, was more than willing to take a gamble on a proven winner (462 career victories, .761 winning percentage) but one with a storied past. In 2011, while serving as the coach at Tennessee, Pearl was caught lying to the NCAA, among other infractions, and was subsequently fired. His final days with the Vols, however, are not indicative of his massive success as a head coach in the college ranks. Pearl led Southern Indiana, a Division II school, to nine consecutive tournament appearances including the 1995 DII national championship. In a combined ten seasons at both Milwaukee and Tennessee (2001-2011), Pearl made 8 trips to the NCAA Tournament. Since taking the helm at Auburn last spring, he had made a big splash in the SEC. With a stellar batch of new recruits, Auburn promises to make noise in a conference that was largely underwhelming last season. With Pearl in charge, anything is possible. 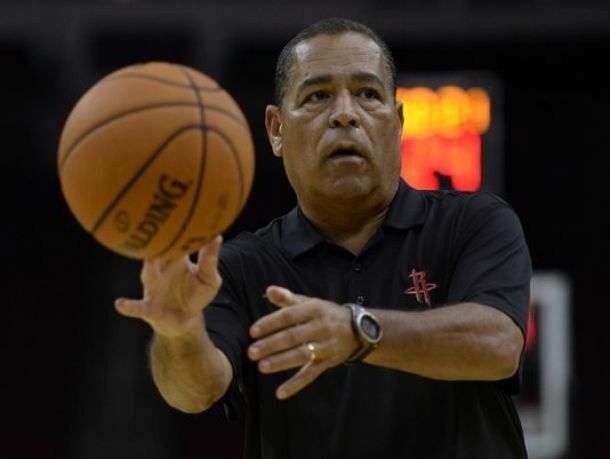 Kelvin Sampson (Houston, 1st year): Sampson’s story is proof that good coaching will keep doors open no matter what troubles have occurred. Basketball has taken him from the remote regions of Butte, Montana (Montana Tech in 1980) to the hallowed grounds of Assembly Hall (Indiana in 2006) to the bench of the NBA (Assistant jobs with Milwaukee and Houston). Along the way, Sampson made stops in Washington State and Oklahoma and had compiled 496 wins and 13 trips to the NCAA Tournament including one Final Four appearance with the Sooners. In 2007, while coaching at Indiana, Sampson was reprimanded by the NCAA for making impermissible phone calls to recruits. Despite the sanctions against him, he admitted to making even more calls to potential players, and he resigned from his post with the Hoosiers in February of 2008. The NCAA slapped a “show-cause” penalty on him, effectively rendering him unhireable to other colleges for five years. Sampson used that time to his advantage by taking jobs with both the Bucks and the Rockets. Then, last spring, Sampson was given the opportunity to rebuild his administrative reputation with the Houston Cougars. But certainly, the man can coach. Mike Dunlap (Loyola Marymount, 1st season): Oddly enough, Dunlap’s new position as head coach of the Lions will be his first ever opportunity as No. 1 at a Division I school. He had great success at the D-III (California Lutheran) and D-II (Metro State) levels. With CLU, he won 80 games and then led Metro to nearly 250 wins and a pair of Division II national championships. A well-respected coach who has produced several instructional videos, Dunlap has bounced around over the course of his 35 year career between several professional and college assistant jobs and even landed a year long stint as head coach of the Charlotte Bobcats in 2012. His coaching travels have taken him from Loyola Marymount, which gave him his first assistant coaching gig, to Australia, where he served as head man of a professional league team, all the way back to Loyola, his alma mater which hired him last spring. Whether the 57-year-old Dunlap is looking for one last spot to settle down, or if he is using the Lions to springboard himself back into the big time, Loyola Marymount is more than happy to provide him the opportunity to showcase his coaching wares. Tubby Smith (Texas Tech, 2nd Season): Smith has been a stalwart coach with head coaching stops at Tulsa, Georgia, Kentucky, Minnesota, and now Texas Tech over nearly 25 years. In 1998, in his first year at Kentucky, he won a national championship. Further, he has failed to win fewer than 20 games only four times in his career. Overall, Smith has compiled 525 wins and 17 trips to the NCAA Tournament including 14 seasons in a row from 1994-2007. In his first year in Lubbock, Smith struggled to a 14-18 season, but his history dictates that the Red Raiders will be making noise in the Big 12 Conference very soon.